The idea that Disney would sponsor programs that incite hatred against religions from my perspective is unconscionable. I have recently become aware of a program being aired on the A&E Networks, a subsidiary of The Walt Disney Company, which is hateful towards several religions. This is Leah Remini’s Aftermath series. I understand this program is in its third season. A&E’s recent programming persecutes some of America’s religions: Scientology, Jehovah’s Witnesses and many other denominations. The program asserts that its objective is “looking into” the Church of Jesus Christ of Latter-day Saints. This programming is one-sided and does not attempt to provide a balanced perspective of the aforementioned churches. As I write to you on this Martin Luther King Day of 2019, I reflect on the work I have done in partnership with the Church of Scientology for many years on some of the most important civil rights and social justice issues in our country. Their members have stood with me on important issues impacting the quality of life for all. By continuing the airing of this series, Disney makes itself a party to the violence resulting. Since the airing of the show, the Church of Scientology has received hundreds of threats of death, violence or vandalism. This includes the arson of their church in Twin Cities, another church having a car driven purposefully through its front windows, etc. I am sure you are aware of the Charleston Emmanuel AME Church killings several years ago when the Pastor and nine of his members were killed during bible study by the professed white supremacist nationalist Dylann Roof. Recent shootings in the synagogue in Pittsburgh and other such incidents against churches around the U.S. are becoming more prevalent each day. The idea that Disney would sponsor programs that incite hatred against religions from my perspective is unconscionable. Combating religious intolerance, stigmatization, discrimination, incitement to violence and violence against persons based on religion or belief is a matter of the highest importance as United Nations global policy. Must we wait until something worse happens to stop proliferating hate-mongering on our television networks? I respectfully request that you look at this from a dispassionate perspective and a broader vision of the world, beyond television ratings. It is now more important than ever that we welcome multiple perspectives to the table to have a robust understanding of one another. It is time, sir, to act with courage and compassion—as would the great Walt Disney and many of his contemporaries—and not merely turn a blind eye to the discrimination and persecution by the few with a mouthpiece, against the many who peacefully and diligently seek to follow their religious convictions. I know based on my study that you are dedicated to community outreach and applaud the diversity that our country stands for. Will you please consider full cooperation and respond positively to my request? 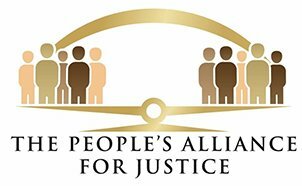 I look forward to hearing from you and will pass on your response to our chapter leaders across the country and the churches partnered with the Alliance that are alarmed and waiting for a response as well. 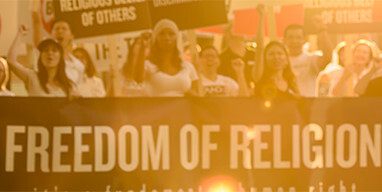 We stand with Scientology, Jehovah’s Witnesses, and all denominations for freedom of religion and against any form of hate.